For years, the consultants at Family Wealth Tax Advisory have been providing quality, personalized financial guidance to individuals, estate fiduciaries and business owners. Our expertise include tax preparation, accounting services and financial planning. Family Wealth Tax Advisory is a leading firm in the Southwest Florida area. By combining our expertise, experience and the team mentality of our staff, we assure that every client receives the close analysis and attention they deserve. Our dedication to high standards, hiring of seasoned tax professionals, and work ethic is the reason our client base returns year after year. Our mission is to help clients maintain financial viability in the present, while taking a proactive approach to achieve future goals. This requires open communication to reach an understanding of our clients' needs through research and sound analysis. Family Wealth Tax Advisory is dedicated to meeting these goals with high standards of excellence and professionalism. We have been a staple of the area's business community for years, and pride ourselves on the level of esteem we have earned. Our dedication to hard work has earned the respect of the business and financial community in and around the area. We believe this to be a direct derivative of our talent and responsiveness to our client base. Whether you are a current or prospective client, rest assured that individuals and businesses who choose Family Wealth Tax Advisory receive competent and timely advice. Maria has had extensive experience in the Tax and non-profit accounting areas. Prior to launching her firm, Maria served as Controller and a Staff Accountant in several organizations. To expand her business, she partnered with Family Wealth Tax Advisory as Principal in 2017. She maintains a rigorous self-education program, and is current on our ever-changing Tax and Business Regulation environment. Maria volunteers her time generously, having served as volunteer Treasurer at her Church for 5 years, and also as a leader in the Girl Scouts of America for 9 years. 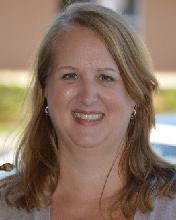 Maria currently serves as Treasurer for Peace Lutheran Church, Friends of Rookery Bay and N.A.P.L.E.S. Group. Fran Nolan, CPA specializes in tax preparation, tax planning and accounting for individuals and their closely held businesses - LLC’s, partnerships, corporations, and trusts. She also has expertise assisting her clients with QuickBooks software, specifically QuickBooks on-line. Fran graduated with high honors earning an undergraduate degree in Accounting and a Master's degree in Taxation from Bentley College in Waltham, Massachusetts. 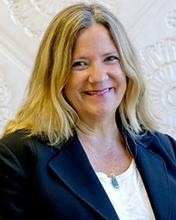 Prior to relocating to Naples, Florida with her family in 2007, Fran was a Partner at Miller Wachman LLP, a public accounting firm with offices in Boston, Holliston and Worcester, Massachusetts. She specialized in tax services to high net worth individuals and businesses. Her clients included, multi-generational families, real estate developers and professional service companies. 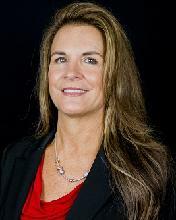 Fran Nolan is a licensed CPA in Florida and a member of the American Institute of Certified Public Accountants. Jennifer Irvan is currently pursuing her Business Management Degree at Florida Gulf Coast University. She handles our client's payroll needs, helps with bookkeeping and keeps the office running smoothly. Her extensive experience with Quickbooks, along with her QuickBooks ProAdvisor Certification, helps her answer our client's questions and concerns in a timely and accurate manner.